Plastic pollution is a critical global issue, especially in recent years, with approximately 8.8 million ton of plastic waste dumped into the ocean every year. Currently, there are 5.25 thousand billion pieces of plastic waste in the sea, about 269,000 ton floating on the surface and a much bigger number submerged deep under the water. Many studies indicate that every square kilometer of ocean contains 4 billion microplastic fibers, contaminating deeper oceanic zones and posing a high risk of entering the food chain. Vietnam is among the top 5 countries that release the most plastic waste into the ocean, approximately 1.8 million ton each year. Not only does plastic waste severely affect the life of marine creatures, it is also detrimental to human health. Plastic pellets are found in 83% samples of tap water, and in 93% samples of bottled water. Having regular contact with chemicals in single-use plastics (such as BPA, styrene) runs the risk of developing cancer, hepatitis, allergies, nervous system diseases, endocrine system diseases and infertility. With the slogan “I change for a Vietnam with no plastic waste”, the iCHANGE Plastics Campaign is the first campaign of the iCHANGE series of projects that aims to raise the public awareness about the harmful effects of plastic waste on our life and environment. To appeal to the general public for their action towards this goal, CHANGE, in cooperation with PJ’s Coffee, is organizing a challenge called “3210” from June 25th, 2018 to July 16th, 2018. “3210” is a series of challenges that aspires to change the participants’ consumer habits, limit and gradually eliminate single-use plastics such as nylon bags, straws, plastic boxes, plastic cutlery, water bottles, etc. Anyone with a Facebook account is eligible to participate. The Facebook account that is used to participate must be authentic. 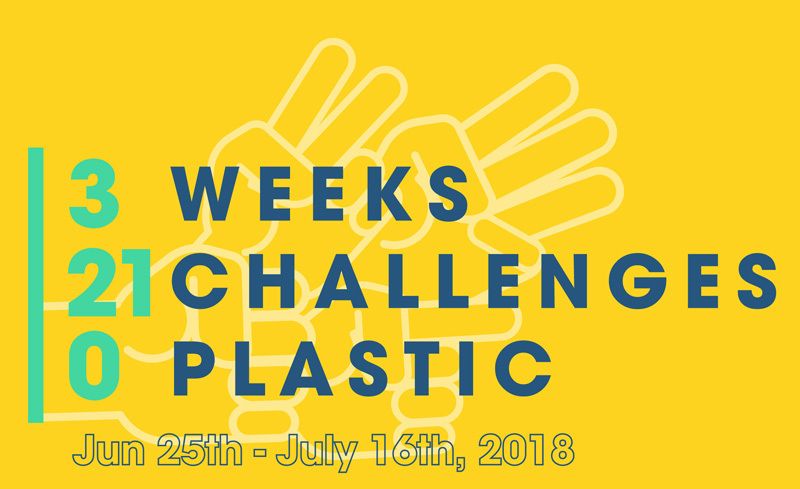 In 21 consecutive days, starting from June 25th, 2018, at 12 PM every day, a challenge will be published on CHANGE’s fanpage. The Facebook post must include information or a story on how the challenge is done, with images/videos to demonstrate, with the hashtags #3210 #iCHANGEPlastics #PJsCoffeeVietnam and is set public. The participants can choose to complete all or only a few challenges of our event; however, a certain number of challenges must be done in order for the participants to be evaluated for the prizes. (for more detail, please see the Evaluation of participating entries section). The organizers will announce the results of the Weekly Prizes on July 4th, 11th, and 18th, 2018. The result of the Grand Prize will be announced on July 25th, 2018. The participants must be fully responsible for their images and information, and must not use images that belong to other people as participating entries. If the organizers detect fraudulence during the evaluation process, the organizers reserve the right to disqualify those entries without prior notice. The organizers reserve the right to use images and information in participating entries to contact the winners and announce the results as well as for other non-profit activities. The organizers hope to receive your enthusiastic participation to spread the message “I change for a Vietnam with no plastic waste”.